Do you find yourself drawn to the great expanse of the Arctic? For many this great white blanket of ice reminds them of the endless possibilities of a fresh canvass. 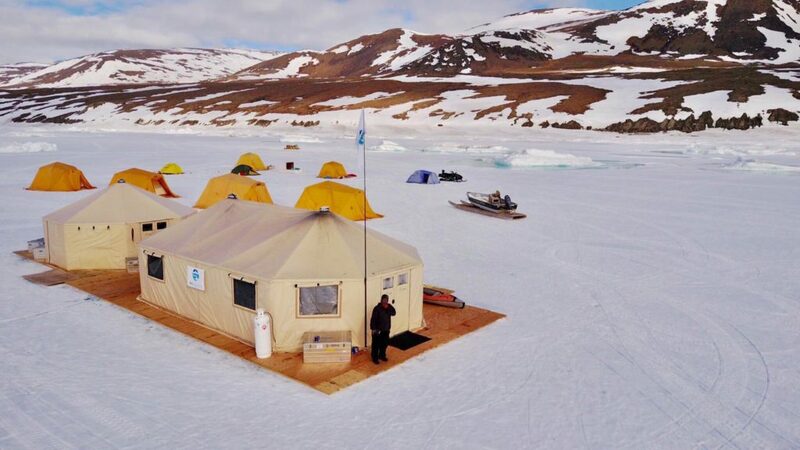 Imagine standing on the pristine sea ice with no sign of humankind around, just remote wilderness with soaring mountains, icebergs, and a vastness that is truly humbling and awe-inspiring. Not a country or a continent, the Arctic still feels like a land onto its own. A place that people have inhabited for thousands of years and yet it feels untouched. What is truly special about the Arctic is that few people have had the chance to experience its breath-taking splendor. 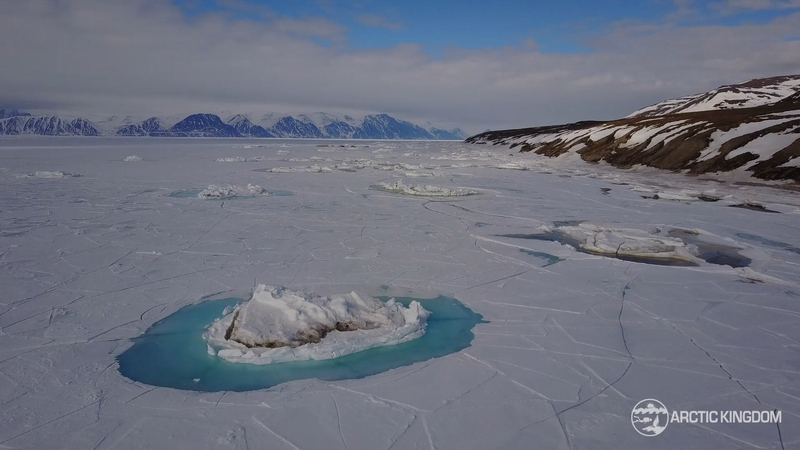 This is why Arctic drone footage is so amazing – it offers an opportunity to experience the vast majesty of the Arctic for yourself. 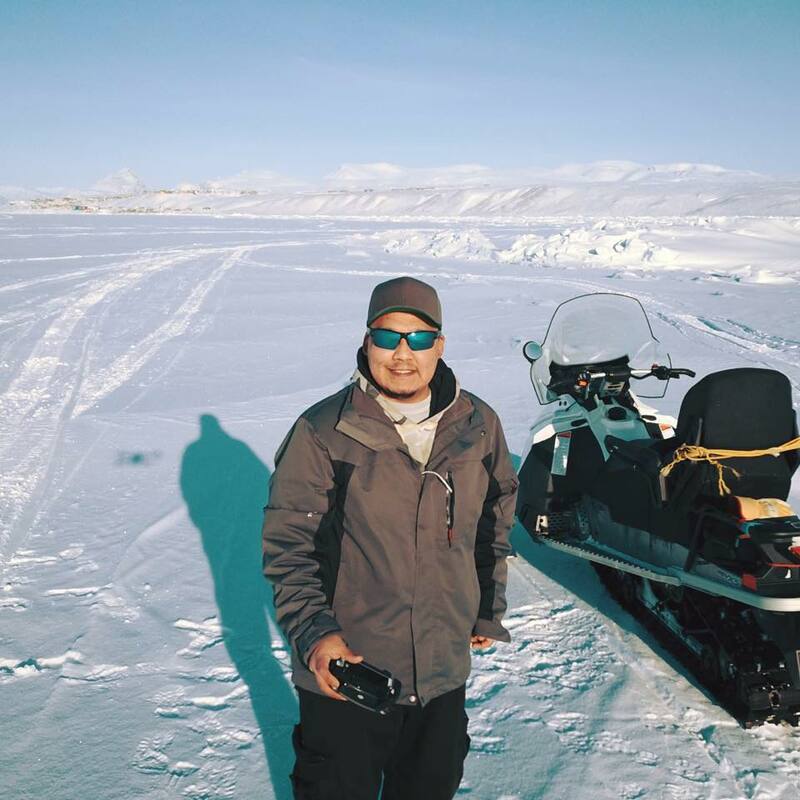 Andrew Tagak, a local Inuit guide from the community of Pond Inlet, Nunavut, has developed a real passion for capturing the beauty of the Arctic through photography and drone footage. It can be hard to capture all the grandeur in a photograph. However, a drone can capture this incredible expanse in a way a camera could never. As the drone follows behind a snowmobile and qamutik you get an idea of just how big the space is as the snowmobile fades into the horizon. How else can you capture the atmosphere of tranquil elegance that the Arctic presents but from the sky above? People who have never been to the Arctic may never appreciate the serenity of the landscape. Life in the Arctic moves at a different speed than it does in the cities. Long expanses between land and floe edge gives visitors the opportunity to look around and take in the enormous mountains or epic icebergs and glaciers. But this footage has a way of expressing this experience for those who are curious about the Arctic. Many guests on our trips expect to enjoy seeing narwhal up close or getting a photo of a passing polar bear. No one can imagine the life-changing feeling of standing in such spectacular, remote landscapes, a single speck on a vast expanse, with no sign of civilization in sight and no stress of a busy life. It’s easy to imagine why Tagak has a passion for sharing footage of the Arctic. Even veteran travellers are still awe-struck and inspired by the Arctic. We find there are two types of people: those who have never been to the Arctic, and those who can’t wait to go back! Learn more about our trips and your chance to capture this vast landscape. Be one of the few to experience the beauty of the Arctic on Arctic Safaris. A special thanks to Andrew Tagak for his work and passion!